This classic thermometer is made of solid beech wood. By controlling the indoor temperature, you save on heating costs – up to 6%, with just one degree of temperature reduction. And you simply feel better. 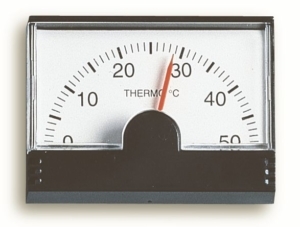 The thermometer is entirely manufactured in Germany. A 2-point adjustment makes it very accurate. The capillaries are filled with a specially coloured alcohol, as the dangerous mercury is no longer used for it.